Rutgers New Jersey Medical School has four core mission areas: Research, Education, Patient Care and Community Service. 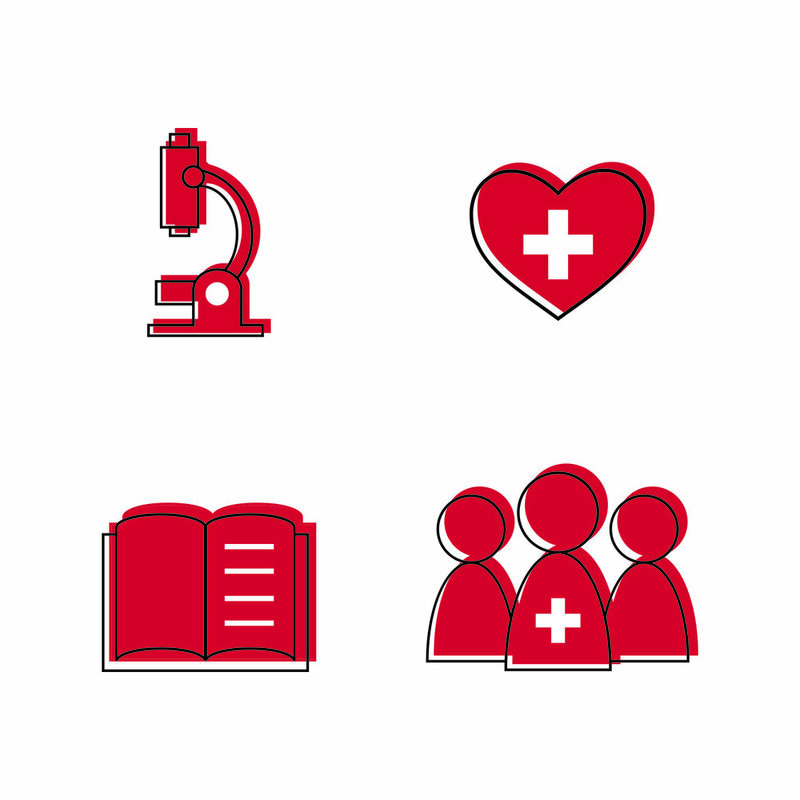 I wanted to create an icon set for the medical school, specifically for the homepage and navigation. Each icon is an outline of a recognizable object from that area and added a pop of color.